AB 617 requires industry and local government to take a ‘community focused’ approach to improve air quality in California. 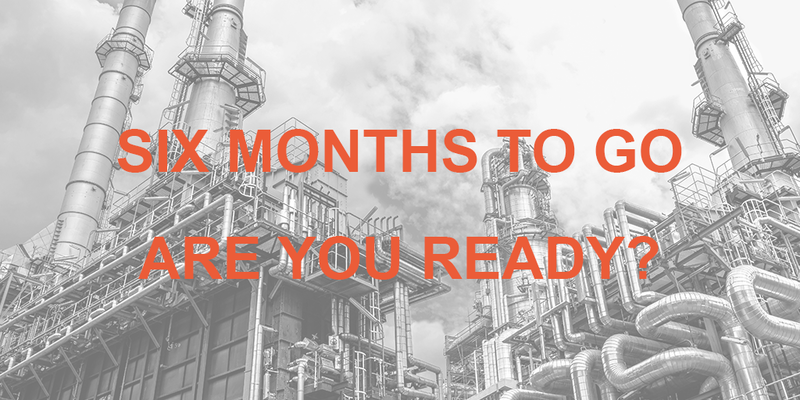 The next deadline, 1 July 2019, relates to the implementation of air monitoring plans and will apply to any business located within the boundaries of a specified Community Air Protection Programme (CAPP), including petroleum refineries. To comply with the legislation, businesses will need to invest in real-time monitoring equipment that measures fenceline levels, both at and near a refinery’s boundaries. Any data captured must then be communicated with residents and stakeholders. “Businesses must consider, therefore, not just how air quality will be measured, but also how and where this information will be shared,” Steve said. “Luckily, significant progress has been made in the tools needed to measure and report on air quality, including technologies based on photo-ionisation detection (PID), gas chromatography (GC) and UV absorption spectroscopy. The DV3000 is a portable analysis unit capable of measuring a large variety of gases, including benzene, a volatile organic compound that has been linked to cases of chronic leukaemia. The unit is equipped with proprietary software and algorithms that analyse real-time readings and generate concentration levels to parts-per-billion (ppb). It is already being used by petrochemical companies to deliver fast, accurate air quality data. With research highlighting that an estimated 400,000 deaths occur every year in Europe alone due to air pollution, the case for immediate action is clear. Statistics around the issue of air pollution deaths provide stark insight into the problems we currently face. According to the EU Court of Auditors, air quality is now considered the biggest risk to public health in Europe, accountable for 400,000 deaths every year. Closer to home, research from the Royal College of Physicians suggests that 40,000 people die each year in the UK due to poor air quality. Against this bleak backdrop, governments are failing to act and deal with this crisis, either at a national or international level. To effectively tackle air pollution, governments need to set stringent standards and police these effectively. We’re currently in a situation where pollution limits are weak, guidelines are too high, and many countries fail to comply, often with no redress. Essentially, pollution is escalating out of control, there’s a real lack of uniform legislation and governments worldwide are disengaged. So, how can we move forward and tackle this crisis? As a global leader in air quality monitoring solutions, Duvas specialises in the development of innovative products to intricately monitor emissions, but the situation we find ourselves in is often frustrating. Air quality technology is capable of providing hugely valuable insight to help develop solutions to the air quality crisis, but while legislation is simply ineffective, we’re unlikely to see things change on a significant scale. As an example, our world-leading analysis device – the DV3000 – uses state-of-the-art ultraviolet differential optical absorption spectroscopy (UV-DOAS) to detect precise concentrations of 14 different gas species, to within parts-per-billion (ppb) levels. But, without government engagement and legislation to outline and enforce acceptable standards, any action to monitor and tackle air quality is instead falling to safety-conscious companies, employers and local communities, rather than being centrally-led. Government action is sporadic, inconsistent and its inaction is placing thousands of lives at risk every year. We need this situation to change, and quickly. One of the biggest challenges to our air quality is benzene, a carcinogenic volatile organic compound (VOC) present in exhaust fumes, numerous household chemicals and widely used in manufacturing processes. Its presence in our everyday environment is widespread, and the implications of exposure can be severe. Benzene has been linked to acute myeloid leukaemia, and understanding workplace benzene concentrations is an essential occupational health and safety requirement. However, while the World Health Organisation (WHO) suggests that ‘there is no safe level of benzene’, safe concentration levels are currently set as 5 µg/m3 (in specific situations and as a time weighted average). What’s more, despite Europe’s Committee for Risk Assessment (RAC) calling for a reduced occupational exposure limit (OEL) for those working with benzene, this is yet to be adopted. This is clearly unacceptable. Until tighter legislative controls are introduced, the increasing prevalence of benzene use within industrial applications (forecast to grow at 3% annually) means millions of workers around the world are dying through over-exposure every year. There’s no doubt that the recent report findings we’ve outlined are shocking but, it’s a sad fact that they’re not surprising. We’ve made good recent progress when it comes to some pollutants (such as No2, NoX, etc.) but we can’t ignore the hazardous effects of less well-known VOCs, such as benzene. We need to act quickly, unify global legislation and ensure the right processes are in place to reverse the devastating impacts of air pollution. With strict legislation, clear guidance and reinvigorated action from our governments, there’s the opportunity to drive real change and safeguard the thousands of lives currently being lost to air pollution. Put simply, it’s not a ‘nice to have’ – it’s essential for public health.